Photo Post | Mantecoza ~ A Kick Brass Steampunk Adventure! I know you’ve all been patiently waiting and we’ve been very quiet. 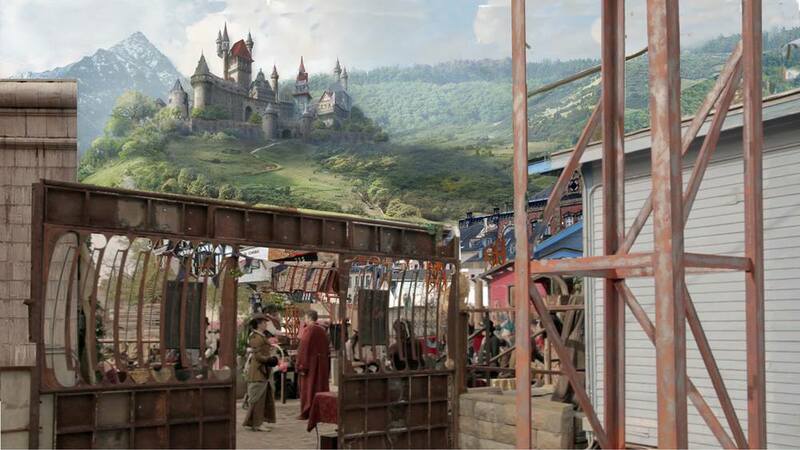 Mantecoza is deep in to post production and here’s a sneak peak at some of the matte painting work going in to transforming the market place! Thank you to all the amazingly talented and generous people who have worked so hard and supported this project thus far!